Home » article » Is There a Link Between Thyroid Disease and Breast Cancer? 1 How common is breast cancer? 2 Who’s at risk for breast cancer? The Thyroid, a butterfly-shaped gland, takes part in a wide range of functions in the body. Healthy thyroid equals healthy you. Problems affecting this gland take their toll on other systems and functions in your body and are also associated with other diseases and health conditions. For example, people with hypothyroidism may have a higher risk of type 2 diabetes, cardiovascular problems, among other common health concerns. But what about breast cancer? Is the function of our thyroid linked to breast cancer in any way? You’ll find answers in this article. Breast cancer is one of the most common forms of cancer in the world, but have you ever wondered how prevalent it is? And besides skin cancer, breast cancer is the most frequently diagnosed cancer in American women. More than 85% of breast cancers occur in women who have no history of this severe disease in their family[i]. The American Cancer Society estimates that in 2019 about 268,600 new cases of breast cancer will be diagnosed in women. This year the number of deaths caused by breast cancer is expected to be about 41,760, figures show[ii]. According to Mayo Clinc, “Breast cancer occurs when some breast cells start growing abnormally.” These particular cells divide at a faster rate than healthy cells and accumulate thus causing the formation of lumps. Breast cancer may start in the milk-producing ducts, but it may also begin in the lobules or glandular tissue. 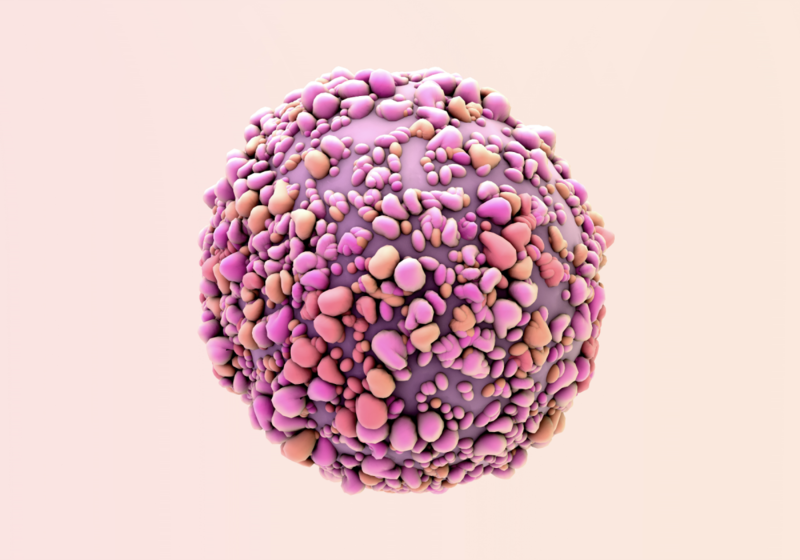 The exact cause that induces abnormal growth of cancer cells is not quite known although scientists have discovered some factors including BRCA1 and BRCA2 genes. When thyroid gland doesn’t function consequences properly are felt in many ways as people experience an array of symptoms. Besides symptoms, the risk of various health problems increases too. The relationship between thyroid disease and breast cancer is not studied as extensively as it should. That being said, the current evidence shows that there is a link between the two. Giani et al. assessed the prevalence of thyroid disease in 102 breast cancer patients in 100 age-matched healthy controls. Their findings showed that 47 out of 102 breast cancer patients had thyroid disease whereas 14 participants out of 100 healthy controls had some disease affecting butterfly-shaped gland. Additionally, the prevalence of nontoxic goiter was 27.4% among breast cancer patients and 11% in healthy controls. Hashimoto’s thyroiditis was observed in 13.7% breast cancer patients while only 2% healthy controls had this autoimmune condition. Other thyroid-related conditions found in breast cancer patients with Graves’ disease, subacute thyroiditis, and thyroid carcinoma. Scientists concluded the study is explaining that the overall prevalence of thyroid diseases is increased in patients with breast cancer, of these autoimmune conditions, are particularly common. For this purpose, it is incredibly important to screen breast cancer patients with thyroid-related problems[iii]. Basically, the above-mentioned study confirmed that there is a link between thyroid diseases and breast cancer. As you can see, thyroid conditions were more common in patients with breast cancer than in women who didn’t have this severe disease. But, that wasn’t the only study which sought to find a link between thyroid problems and breast cancer. Turken et al. investigated the incidences of autoimmune and non-autoimmune thyroid diseases in patients with breast cancer and age-matched individuals in the control group without either thyroid disease or breast cancer. Their study included 150 patients with breast cancer and 100 healthy controls. For the purpose of the study scientists performed clinical and ultrasound evaluation of thyroid gland, inspected thyroid hormone and antibody levels. The study found a high prevalence of goiter and autoimmune thyroiditis in breast cancer patients. It has been suggested that the presence of thyroid abnormalities could influence the progression of breast cancer, but this theory needs further research. However, scientists did confirm that there is a significant association between breast cancer and both autoimmune and non-autoimmune thyroid disorders[iv]. A different study, carried out by scientists from the US and Taiwan, focused only on the link between hyperthyroidism or hypothyroidism and breast cancer. They enrolled 103,466 women with mean age 53. Of these, 51,733 subjects had breast cancer. Researchers found an increased risk of breast cancer in hyperthyroid women. Patients with hypothyroidism were also more likely to develop breast cancer than healthy controls[v]. The most recent piece of research on this topic was published in August 2018 in the journal Breast Cancer Research. Ortega-Olvera et al. analyzed the relationship between thyroid hormones and breast cancer according to menopausal status and BMI. To get their answers, scientists measured serum thyroid hormone and thyroid antibody levels in 682 breast cancer patients and 731 healthy controls. They tested the link between total T4 (TT4) and total T3 (TT3) with breast cancer-bearing in mind factors like a woman’s weight and her menopause status. Their findings showed that higher TT4 levels were strongly related to breast cancer in both pre- and postmenopausal women. On the other hand, lower TT3 concentrations were linked to breast cancer in premenopausal and postmenopausal subjects. Therefore, scientists concluded that there was a strong association between thyroid hormones and breast cancer[vi], but more research is needed to elucidate this topic fully. Thyroid diseases such as hypothyroidism, hyperthyroidism, and autoimmune conditions are not the only connections between the function of this gland and breast cancer. Studies show that breast cancer and thyroid cancer are also related. Nielsen et al. reviewed available evidence on this subject and found that a woman who’s had breast cancer is 1.55 times more likely to develop thyroid cancer than a woman without a breast cancer history. At the same time, a woman with thyroid cancer is 1.18 more likely to develop breast cancer compared to a woman who doesn’t have a history of thyroid cancer[vii]. It’s not quite clear why the two cancers are connected, but radiation and exposure to iodine during treatment could be the reason. In addition, some genetic mutations could also be the link between thyroid cancer and breast cancer. Hormonal risk factors are involved as well. More precisely, exposure to estrogens and thyroid-stimulating hormones could contribute to the formation of a secondary thyroid or breast cancer. Basically, treatment for first cancer could affect the risk of developing the second. For instance, radiation is a common cancer treatment measure for breast cancer, but it can increase the risk of other types of cancer including that affecting thyroid. Breast cancer, just like thyroid cancer, can be treated successfully. Early diagnosis is crucial for successful recovery. That’s why it’s important to undergo regular screenings. Both breast and thyroid cancers somewhat unique screening guidelines. Ideally, you should start getting screenings as early as the age of 40. Make sure you start getting yearly mammograms from ages 45 to 55. If you’re 55 or older, then you need to get a mammogram at least once in two years. That being said, if you belong to the high-risk group due to family history and lifestyle factors, you should consult your doctor about screening for breast cancer before you’re 40. While formal guidelines for thyroid cancer screening aren’t outlined at this point, doctors usually recommend doing so when a patient’s notices lump in the neck. Persons with a family history of thyroid cancer may also need to get screening. Breast cancer is one of the most common cancers in the US and around the globe. Thyroid diseases are also widely prevalent. It comes as no surprise that multiple studies have confirmed the relationship between thyroid diseases and breast cancer. A growing body of evidence shows that the prevalence of various thyroid conditions is higher in breast cancer patients. Breast cancer is also linked to impaired thyroid hormone levels. Studies also go on to say that women who have had breast cancer are at a higher risk of developing second cancer, usually thyroid cancer, and vice versa. A healthy lifestyle is crucial for healthy thyroid and breasts.